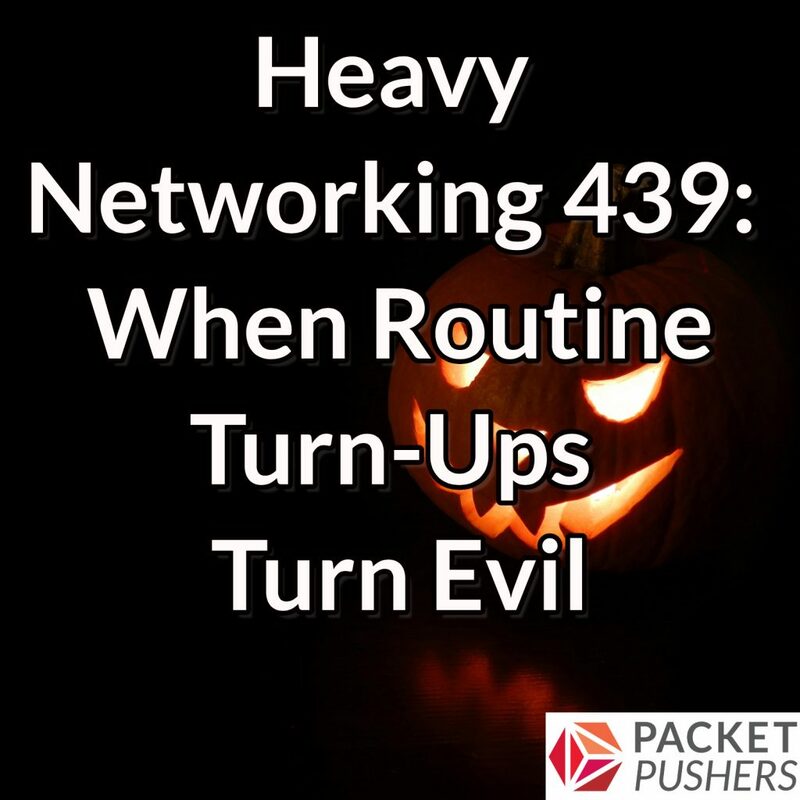 We do a bit of troubleshooting on today’s Heavy Networking podcast. Turning up a new circuit should be easy. Some IP addressing, maybe a routing adjacency to bring up, or perhaps a default route. Do some pings, run a speed test, check for interface errors, make a few notes in the NMS, and that’s about it. Routine stuff for any network engineer. Except sometimes it isn’t. What happens when all the normal stuff seems okay, but you’ve got weird connectivity problems? How do you fix that issue? Our guest is Chris Parker, a network engineer who works for a London ISP, and is also a Juniper Networks ambassador. Chris blogs at Network Fun Times. He and Ethan start the show talking about certifications, why Chris has earned so many, and his favorite books and blogs that helped him. Then they walk through an issue that Chris encountered with an SRX firewall, the troubleshooting steps he took and why they didn’t help, and then how a “monitor traffic” command finally provided the clue he needed. Get over 65 hours of free technical training from ITProTV. ITProTV offers online instruction in CompTIA, Cisco, VMWare, Microsoft and more. You can stream courses live and on demand on your favorite device. Sign up for a free membership at itpro.tv/packet-pushers and try it with no obligation. I’ve had that /32 on an interface happen too. The reason is simple. BOOM you have a /32 interface on the box. A really fun episode. I enjoyed the whole thing. Regarding Junipers great build in paket capture feature. At least in NX-OS there is a similar feature called ethanalyzer to capture all packets coming up the control plane. Yes, all packets, not only from a single Interface, but there are wiresharky possibilities to limit the scope (src/dest host, protocol, vlan, and so on). Thats very nice episode!!! Wish more episodes of this format, where you take some troubleshooting event and analyze it, especially making some pauses, to let listener try to guess what actions he would take.